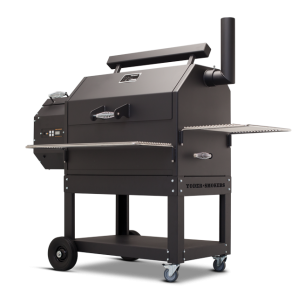 Yoder Smokers YS640 - The world’s most versatile cooker! Simply flip the switch, set the desired temperature, season your food and cook an entire meal all at the same time. Your Yoder delivers perfect, flame-kissed steaks, chicken, chops and sides every time. Smoking butts, brisket or ribs. No problem. Smoking is in Yoder’s DNA. Your Yoder will impart that hint of smoky flavor to everything you cook. 1. ENTRY: No purchase necessary to enter or win. 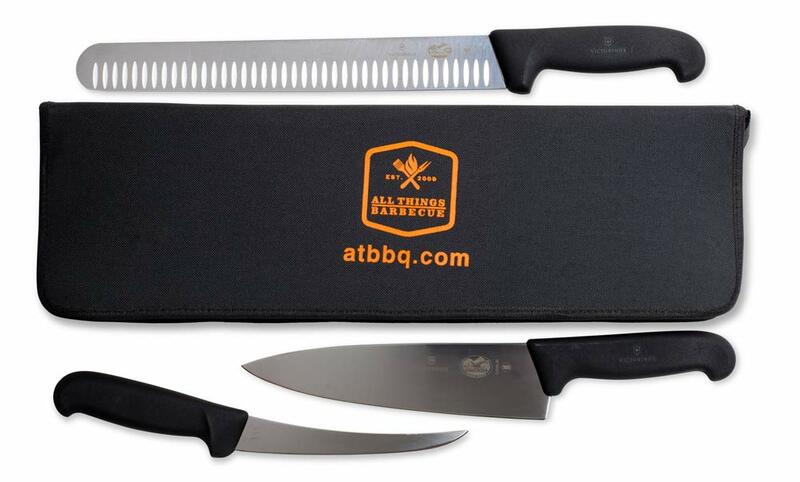 Contestants will enter by registering at GiveAway.ATBBQ.com. 2. ELIGIBILITY: This contest is open only to legal U.S. residents, over the age of 18 who have a shipping address in the 48 Contiguous States. Employees of All Things Barbecue (ATBBQ) and Yoder Smokers (along with its contractors, affiliates and subsidiaries) and their families are not eligible. Void where prohibited by law. Contestants residing in those areas where the contest is void may participate in the contest but may not win any prizes. 4. PRIZES: One winner will receive one prize package as follows: October Prize Package – (1) Wusthof 3-piece Barbecue Knife Set; November Prize Package – (1) Uuni 3 Pellet Fired Portable Pizza Oven with pizza peel and cover; December Grand Prize Package – (1) Yoder Smokers YS640 Grill. 5. WINNER NOTIFICATION: Monthly and Grand Prize Package winners will be notified be notified via email by 4pm, Wednesday, November 1, 2017; Friday, December 1, 2017 and Tuesday, January 2, 2018 respectively. Inability to contact a winner within 8 hours will result in disqualification and selection of an alternate winner. 6. GENERAL CONDITIONS: a.) Participants hereby grant ATBBQ and Yoder Smokers a non-exclusive, perpetual, worldwide license to broadcast, publish, store, reproduce, distribute, syndicate, and otherwise use and exhibit the Submission (along with their names, voices, performance and/or likenesses) in all media now known and later come into being for purposes of trade or advertising without further compensation. Participants represent and warrant that they have full legal right, power and authority to grant ATBBQ and Yoder Smokers the foregoing license and if applicable, have secured all necessary rights from any participants in, and contributors to, their Submission in order to grant such a license. b.) ATBBQ and Yoder Smokers are under no obligation to use any Submission or return the Submissions to participants. c.) Any income tax liability is the sole responsibility of the winner. 7. USE OF CONTEST INFORMATION: All entries become the property of ATBBQ and Yoder Smokers. ATBBQ and Yoder Smokers reserve the right to use any and all information related to the contest, including submissions provided by the contestants, for editorial, marketing and any other purpose, unless prohibited by law. 8. NOT ENDORSED BY YOUTUBE: By participating in this contest, you acknowledge that this contest is in no way sponsored, endorsed or administered by, or associated with, YouTube and release YouTube from any and all liability arising from or related to this contest. The information you are providing for this contest is being provided to ATBBQ and Yoder Smokers and not to YouTube. 9. CONDUCT: All contest participants agree to be bound by these Official Rules. ATBBQ and Yoder Smokers, in their sole discretion, reserve the right to disqualify any person it finds to be tampering with the entry process or is otherwise in violation of these rules. 10. LIMITATIONS OF LIABILITY: ATBBQ and Yoder Smokers are not responsible for late or lost comments or for any computer, online, telephone or technical malfunctions that may occur. If for any reason, the contest is not capable of running as planned, ATBBQ and Yoder Smokers may cancel, terminate, modify or suspend the contest. Entrants further agree to release ATBBQ and Yoder Smokers from any liability resulting from, or related to participation in the contest.